Delmonico has been around so long (12+ years), we tend to forget how great it is. One of its many excellent attributes is that it’s open for lunch, as in: a real, classy, white tablecloth lunch, in quiet, elegant setting, perfect for conversation, business or romance. Not an easy thing to find at the noon hour in our humble burg. …a ten ounce beaut composed of prime filet, prime rib-eye trim and fat from the short loin. “Tastes like a good steak,” is how the King of Burgers put it after his first bite, and we couldn’t have agreed more. Chef de Cuisine Ronnie Rainwater (great name that) tells us they form them a little neater, more uniformly than you might expect. “They almost look store-bought,” is how he puts it, the better to improve their appearance inside the firm-yet-slightly-squishy brioche bun. Rainwater brushes that bread with some mayo on both sides, then adds Tillamook cheddar cheese, Bibb lettuce, heirloom tomato and thinly shaved red onions — thus supplying every land-locked food group known to man in one tasty bite. All in all, a well-considered construct of burger perfection. ELV’s meal was unexpectedly comped, but he left a $40 tip. Do you know what that meal would have cost. Because I am inviting 3 people to lunch to split that exact meal. That is an impressive line up. Yes, one of the best burgers in town at any price–made from dry-aged trimmings, I’m told, and it shows. Tragically, you didn’t get one of their milkshakes, which are also non pareil. ELV responds: The burger is $17, the fried chicken about the same, and the sliders around $22 if memory serves. Desserts are around $10 each….so the whole kit and kaboodle would have run around $80, without drinks, exclusive of tax and tip (but that’s just a rough estimate). The burger is only a buck more than the one at I Love Burgers, and so much better, you’ll want to run over to The Palazzo Shoppes and beat someone over the head with a rib bone. happy to hear it John. I have loved their Bone In NY since inception as the meat was trimmed perfectly and there was little waste. boredom set in and the quality went down in the last few years. as a prevous writer commented their master sommelier Kevin Vogt is top notch and had been a terrific guide around their wine list. glad to see that they have opened for lunch and the food has taken a step forward. I have to agree. I used to eat there all the time, but hadn’t gone back consistently for a couple of years secondary to my perceived lowering of quality across the board. However, I ate dinner there last Friday and was blown away by how perfect everything was. I thought maybe this was a fluke and returned the following night only to be blown away again by the same perfection. The rib-eye was perfectly cooked, rested and seasoned. The creamed corn and grits were piping hot and delicious. Kevin also picked a great bottle of Pinot for us too. I consider it my personal loss for not frequenting them more often prior. I’ve always just kept walking past Delmonico seemingly on my way to what I thought was a better steakhouse in another hotel. Now I’ll have to try it. I had their old burger and fries and it was not very good. The ones you pictured look a ton better. The service in the restaurant has always been top notch. The food has returned to Grade A with Chef Ronnie’s promotion. 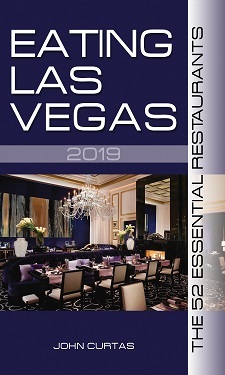 Between the waitstaff, Kevin Vogt’s wine, Chef Ronnie’s food and Chef Stephanie’s incredible desserts (always order the special), It’s as good as any steakhouse in Las Vegas.